Unless you’ve got the nuts, 4-bet pots can be awfully intimidating. With stack-to-pot ratios so low, you’re usually just a bet or two away from getting all the money in the middle. If you’ve ever sweat under the stress of playing a 4-bet pot post-flop, then read on. Today we’ll discuss four points that will make navigating 4-bet pots much easier. As a bonus, points 1, 2 and 3 feature words of wisdom from Doug Polk and Ryan Fee. There’s no reason to discuss post-flop strategy for 4-bet pots if you haven’t thought carefully about your pre-flop strategy for 4-betting and calling 4-bets. Since 4-bet situations are unique and involve a variety of factors, it doesn’t make sense to prescribe ranges that you should never deviate from. Instead, let’s begin with general factors to consider so you can build well-structured ranges on the fly. Position is the most influential factor when considering a 4-bet range. What range you can profitably 4-bet or call a 4-bet with depends on your opponents’ ranges, which vary wildly by position. For example, if you are in the big blind facing a UTG open and a cutoff 3-bet, then your 4-betting range should be very tight. More specifically, it should probably consist of AA and around 6 bluff combos for balance. By contrast, 4-bet and 4-bet calling ranges in a small blind versus big blind situation will be much wider. For instance, where you might not want to 3-bet a hand like TT vs a UTG open, it can be 4-bet comfortably blind versus blind (usually). “When you face a 3-bet, take a moment to think, ‘given the size, what is the worst hand that I can profitably flat?’ When you have an opportunity to make a profitable call, you want to take it rather than bluffing. The hands which are a little bit worse than that are the ones you should use as 4-bet bluffs. It’s crucial to consider the price you are getting when facing a 4-bet, and work out roughly how much equity you need to profitably call. Given that conventional 4-bet sizing is usually in the vicinity of 19–24bb, you will often times need somewhere between 28–33% raw equity versus your opponent’s range to consider calling (assuming you’re the one who put in the 3-bet). You’ll need slightly more equity than that to profitably call because of your range and/or positional disadvantage. Many players gift their opponents free equity by passing on marginally profitable calls, but you should avoid that. Instead, you should be willing to see lots of flops against small 4-bets. The variance will be high (that’s the nature of 4-bet pots) but the results may surprise you. For more on 4-betting pre-flop, check out 5 Tips for 4-betting That Every Aspiring Pro Should Know. You should c-bet on the flop often as the 4-bettor, but it is good to mix in checks with some strong hands in order to protect your medium-strength hands. On a K♣ 5♣ 2♠ board, for example, it makes sense to check KK, AA and A♣Kx at least some of the time. We heavily block our opponent’s value range, which will likely call a bet, and equity denial isn’t a major concern with any of these hands. Checking with them is a great way to strengthen your range beyond the medium-strength hands you’d probably always check, like TT–QQ. In addition to using nutted combos for protection, we should also check with hands that are somewhat strong, but too weak to be bet for value over multiple streets. Let’s look at a hand Ryan Fee played that showcases this idea. Americas Cardroom $0.25/$0.50. 6-Handed. Effective Stacks $52.25. utg folds. Hero raises to $1.11. 2 folds. SB raises to $3.55. bb folds. Hero raises to $8.50. SB calls. SB checks. Hero bets $8.31. SB calls and mucks. On a board like this, betting multiple streets for value with our weak Ax combos would be far too thin. Our hand will be way behind the stronger Ax hands our opponent would flat our 4-bet with (AJ–AQ), but way ahead of hands we want to get value from (TT–QQ). This way-ahead or way-behind scenario makes our hand a perfect candidate to check, thus strengthening our checking range. We can now have top pair combos when we check, which makes it tougher for our opponent to exploit us. In 4-bet pots the pre-flop aggressor usually enjoys a significant range advantage post-flop. This is because the 4-bettor can always have the very strongest hands–AA, KK, QQ, AK, etc–while the caller almost never will. Your strong range usually won’t benefit much from equity denial. Using a small bet can incentivize your opponent to make a loose call with a hand that is well behind your betting range. Small bet sizes allow you to bluff very efficiently. Why bet 60% of the pot if you can get your opponent to fold with a much smaller bet size? Here’s a hand where Ryan implemented this strategy. Americas Cardroom $0.25/$0.50. 6-Handed. Effective Stacks $53.40. 3 folds. Hero raises to $1.11. SB raises to $4. BB folds. Hero raises to $9.50. SB calls. SB checks. Hero bets $5. SB folds. Using a small bet size with our entire range will be effective on this board. This is because the SB’s 4-bet calling range consists mostly of high-card hands that are awkward to play when facing a small bet on 6♥ 6♠ 5♠. Not only are the high-card hands in our range stronger than those in our opponent’s range, we also have nutted over-pairs in our range that our opponent is unlikely to have. Ryan’s 25% pot bet gets a fold despite his QQ heavily blocking his opponent’s folding range (hands like QJ, KQ, AQ, etc.). This is a testament to how much fold equity can be leveraged on certain boards with a small bet and a range advantage. Playing big pots without a super strong hand might feel daunting, but you shouldn’t be afraid to call 4-bets with speculative hands if you are getting the right price. However, you’ve got to be prepared to lay down these hands post-flop if you don’t connect well with the board. 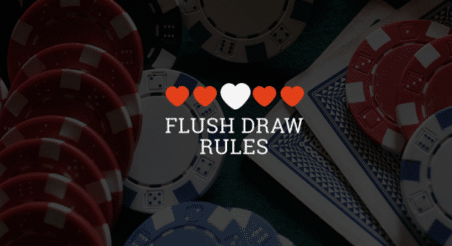 Since you are at a big range disadvantage as the pre-flop caller, there will be times when you catch a pair on the flop but should still make a disciplined fold. Even if you turn a flush draw, shoving over a bet will not yield much fold equity since the stack-to-pot ratio will be low by the turn. One of the main takeaways here is that you’ll often under-realize your equity as the pre-flop caller. This isn’t to say that you should simply stop calling 4-bets, but rather that you should keep the equity of your hand versus your opponent’s range pre-flop in mind when considering what to do post-flop. Don’t compound a loose pre-flop 4-bet call with a losing play post-flop. As always, I’m open to article topic suggestions in the comments below. Good luck at the tables!